It's beginning to look a lot like Christmas in Daytona, and we've created a jolly list of events to get you in the spirit, from holiday parades on both land and sea to Sunday Snowdays at ONE Daytona. If you're not quite yet feeling the spirit, don't click the back button yet. We've provided you with some non-holiday related things to do in Daytona. Cheers! The Seabreeze Entertainment District in Daytona hosts a Block Party featuring multiple artists at 3 different venues: Rok Bar, Daytona Taproom, and The Patio! Save the date for this fun holiday event in Downtown Daytona Beach. Guests will purchase a passport for wine tastings at the Riverfront Shops – a perfect time to buy unique holiday gifts! We have a tasting bar where over forty varieties of fruit, berry and tropical wines made in Florida are available to taste. 'Tis the Season at Main Street Station! Our Annual Bicycles for Kids: A Christmas Poker Run and Fundraiser is back again and we're ready to prepare the Future Riders of America! All proceeds from this event go toward purchasing bicycles and helmets for children. 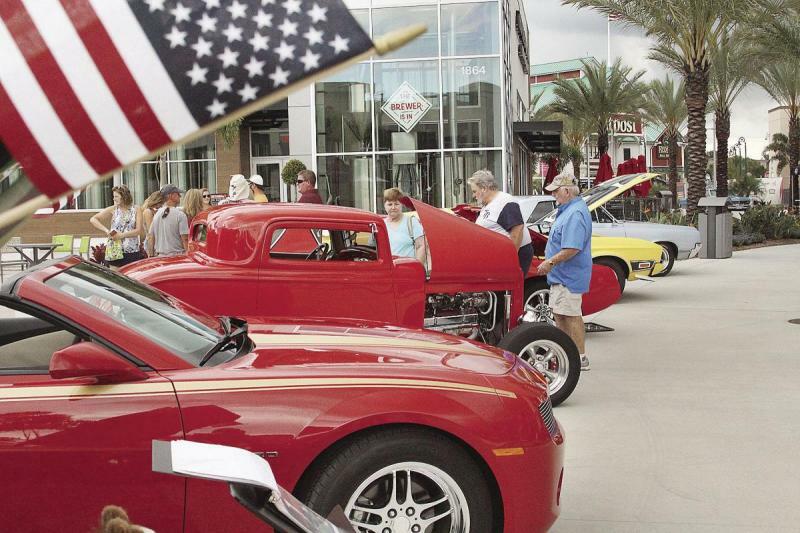 Come check out muscle cars, street rods, or classic cars and experience food, music, and shopping at the Cruisin' ONE Daytona Car Show on the first Saturday of each month from 4-7PM. 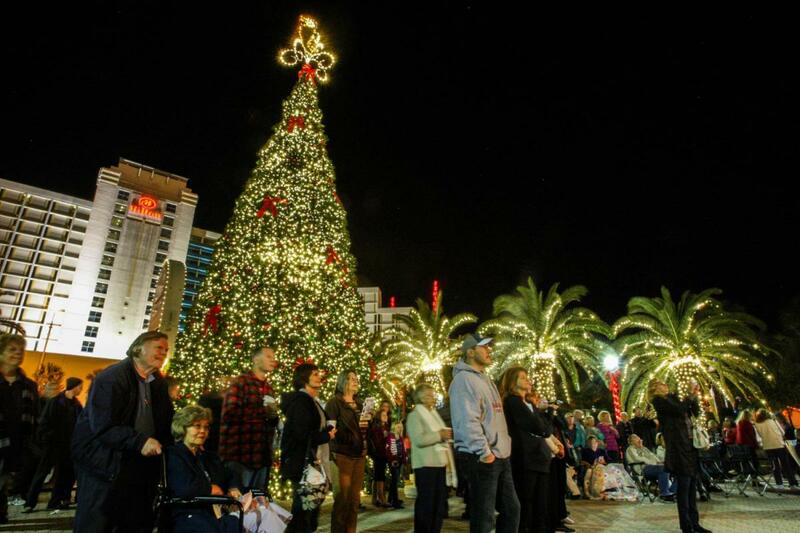 The Ocean Center will host their eighth annual Light up Volusia on the east plaza of the convention center. Everyone is invited to kick off the holiday season with this free fun-filled holiday event. 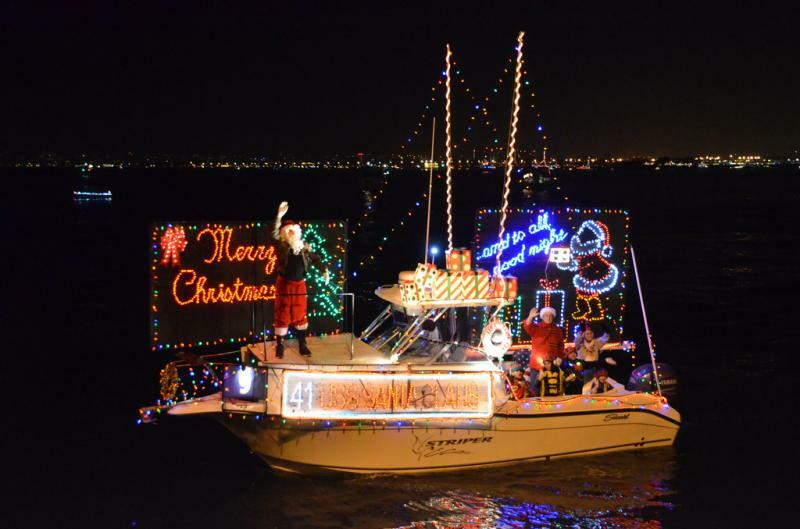 Watch as decorated boats travel down the Halifax River from Seabreeze Bridge to Charthouse for the 2018 Daytona Holiday Boat Parade on Dec. 1st. Judging takes place at the Halifax River Yacht Club. The 41st Annual Port Orange Holiday Parade will consist of bands and floats centered around this year’s theme - “Christmas Movies.” The parade will start at Jackson Street and will run east on Dunlawton Avenue to Spruce Creek Road. Enjoy a family friendly holiday celebration at Victory Circle at ONE Daytona! Event activities include a dual lane snow slide, interactive DJ, Polar Express train, and stilt walkers making balloon art. Ballyhoo with Propaganjah at Beachside Tavern. Prepare to be enchanted with the theatrical talents of the Daytona Playhouse to bring you the beloved Dickens holiday classic: A Christmas Carol. Incorporating dance, theater, and music, this is a magical performance audiences of all ages will enjoy.